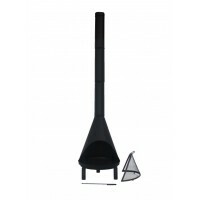 Material: Cast Iron Product dimensions (DH): 215 cm Package dimensions (LWH): 51.5*51.5*48.5 Weight: 24kg Features Provides warmth for those cool summer nights Provides a cozy atmosphere Cast iron construction finished in antiqu..
Material: 6mm Polycarbonate, Aluminum, Galvanized Steel Product dimensions (L): 360 x 360 x 196/270 cm Package dimensions (LWH): 226X43X30CM 152X76X15CM Weight: 85kg Features 6mm polycarbonate roof panels with anti-UV treatment Po.. Features: Material : Metal Product dimensions: Size:6m(W)x6m(L)x3.6m(H) Car Port Size:6m(W)x6m(L)x3.6m(TH) Double pressed 0.35mm galvanised steel 5cm x 5cm, 1.8mm thick galvanised steel box frame tubing Protect assets fr..
Material : Aluminum, Polycarbonate Product dimensions : 576L x 300W x 222H Package dimensions (LWH): 220x30x19 cm , 301x79x17cm Weight: 70kg, 23kg Features Multi-purpose as a carport or a patio cover Protect your car from the elements or cr.. Product dimensions: 312cm(L) * 300cm(W) * 206/258(H) CM Package dimensions: 303 x 65 x 20 cm Weight 60KG This is a complete canopy system supplied in kit form, 3.00m projection (away from house wall) x 3.12m width (along house .. 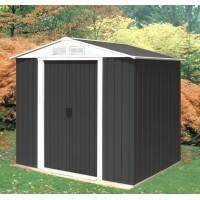 Product dimensions: 373cm(L) * 300cm(W) * 206/258(H) CM Package dimensions: 303 x 65 x 20 cm Weight 65KG This is a complete canopy system supplied in kit form, 3.00m projection (away from house wall) x 3.73m width (along house .. 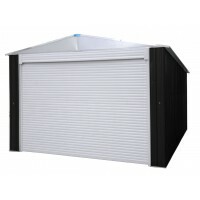 Product dimensions: 435cm(L) * 300cm(W) * 206/258(H) CM Package dimensions: 303 x 65 x 20 cm Weight 70KG This is a complete canopy system supplied in kit form, 3.00m projection (away from house wall) x 4.35m width (along house .. 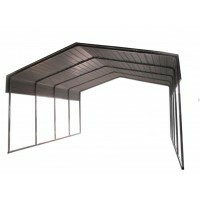 Product dimensions: 496cm(L) * 300cm(W) * 206/258(H) CM Package dimensions: 303 x 65 x 20 cm Weight 75KG This is a complete canopy system supplied in kit form, 3.00m projection (away from house wall) x 4.96m width (along house .. 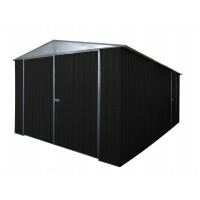 Product dimensions: 557cm(L) * 300cm(W) * 206/258(H) CM Package dimensions: 303 x 65 x 20 cm Weight 80KG This is a complete canopy system supplied in kit form, 3.00m projection (away from house wall) x 5.57m width (along house .. 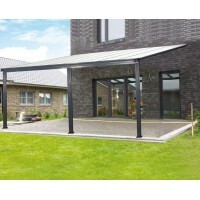 Product dimensions: 618cm(L) * 300cm(W) * 206/258(H) CM Package dimensions: 303 x 65 x 20 cm Weight 85KG This is a complete canopy system supplied in kit form, 3.00m projection (away from house wall) x 6.18m width (along house ..
Material: Steel Product dimensions (LWH): 355(W)x170(D)x248(H)cm, Package dimensions (LWH): 217 x 96 x 8 cm Weight：68 kg Features New improved design, 0.6mm galvanized gable& support. Deep ribbed strong 0.326mm corrugated colo..
Material: Steel Product dimensions (LWH): 355(W)x170(D)x248(H)cm, Package dimensions (LWH): 217 x 96 x 10 cm Weight：102 kg Features New improved design, 0.6mm galvanized gable& support. Deep ribbed strong 0.326mm corrugated co..
Material: Steel Product dimensions (LWH): 355(W)x340(D)x248(H)CM, Package dimensions (LWH): 217 x 96 x 10 cm， 290 x 35 x 25 cm 217 x 96 x 10 cm， Total Weight：246 kg Features New improved design, 0.6mm galvanized gable& support.&nb..
Material: Steel Product dimensions (LWH): 355(W)x340(D)x248(H)CM, Package dimensions (LWH): 217 x 96 x 10 cm， 217 x 96 x 10 cm， Total Weight：216 kg Features New improved design, 0.6mm galvanized gable& support. Deep ribbed s..
Material: thickness zinc steel colorbond Product dimensions (LWH): L 2570mm x W 2590mm x H 2120mm Package dimensions (LWH): 184X97X13CM 75KG &nb..